"The finest independent musician in America today" says Folk Music America about Bob Haworth, who toured for nearly four decades as a key member of The Brothers Four and The Kingston Trio. 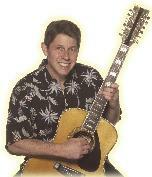 Today he lives in Jacksonville, Oregon, where he continues to entertain, write songs and teach music. He is also in the process of documenting his career in a book entitled "Tales From The Roadside." His latest project is a duo with Medford singer and multi-instrumentalist, John Hollis. See "Akoostikats" info below. 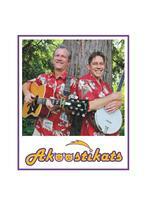 Bob's latest project is Akoostikats, an acoustic music duo with Medford singer and multi-instrumentalist, John Hollis. Presenting a show called "Tales & Tunes from the Folk Music Era", Akoostikats recreate the hit songs of The Kingston Trio, The Brothers Four, Peter Paul & Mary, The Weavers, Woody Guthrie and other heros of the "Folk Scare" of the 1950's and '60's. Bob ties the music together with fascinating "tales" about the "tunes" and the artists that made them popular with a generation of fans. Reminiscent of the "hootenannies" of the Folk Music Era, audiences are encouraged to sing along! Contact Bob today for details. Mitt Romney, then Governor of Massachusetts, joined Bob Haworth and The Kingston Trio for a rendition of "Charlie On The MTA" at the Charlie Card dedication ceremony for the Boston Subway System in 2004. Bob shares Kingston Trio memories and talks about his musical life after the Kingston Trio on KNUS Radio 710AM in Denver CO the night of May 25, 2008. Click here to listen.